Most of the terracotta statues have been entrusted to the Fine Arts Museum in Antwerp, but due to renovation work being carried out here, the collection is not currently accessible to the general public. A selection of the works is, nevertheless, on show at the Royal Museum of Mariemont until 20 November 2016. The entire collection of drawings – over 800 pieces! – is now in the City of Antwerp’s print room. The drawings can be consulted, on request, in the museum reading room. 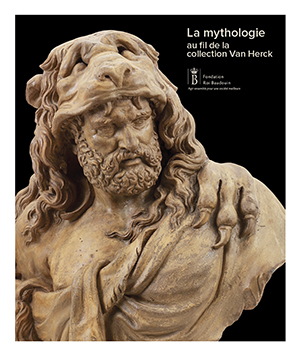 Lucas Faydherbe’s Buste d’Hercule (Bust of Hercules) from the collection is currently on show at the Rubens House in Antwerp. Three terracotta sculptural groups made by Antoine Gillis are kept at the Royal Museum of Mariemont, which also houses a fascinating collection of Belgian ceramics.